European Historic Cafés Association | Fruitful meetings with	owners of historic cafes in	Viareggio, Florence, Lucca and Pisa. 22 Dec Fruitful meetings with	owners of historic cafes in	Viareggio, Florence, Lucca and Pisa. 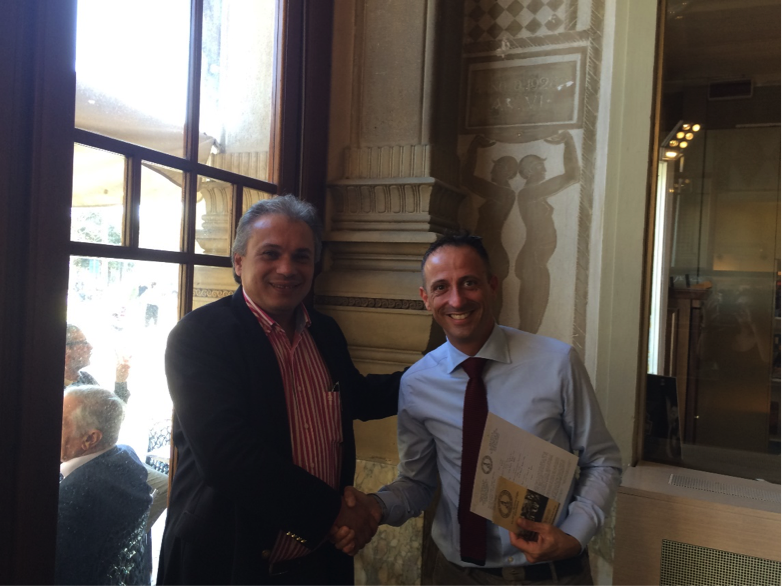 During the 25th and 26th of September 2017, the founder and president of European Historic Cafes Association (EHICA) Vasilis Stathakis visited owners of historical cafes at Viareggio, Florence, Lucca and Pisa. 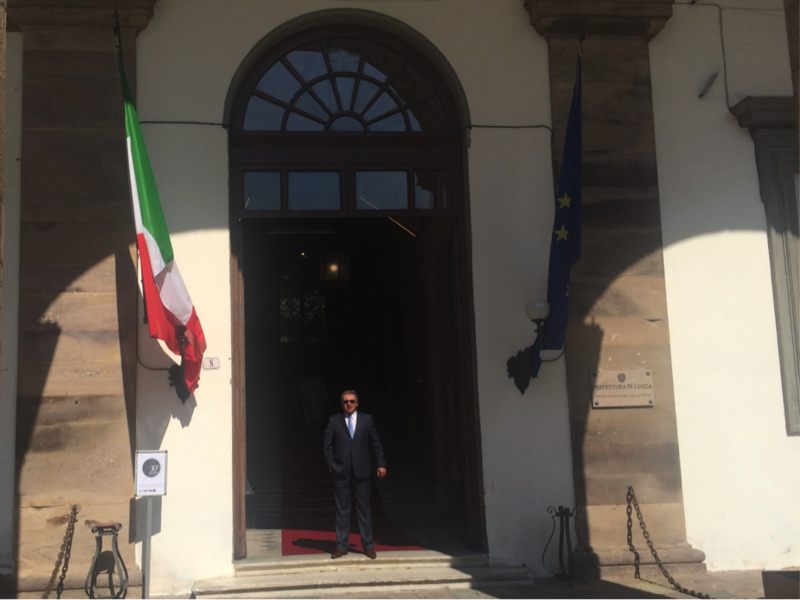 Mr. Stathakis traveled in Italy for the 30th forum of representatives of the “Cultural Routes of Europe” that was held in Lucca. The meetings were successful and fruitful -and of course full of aroma of the past, and lots of cups of strong espresso that accompanied each conversation. 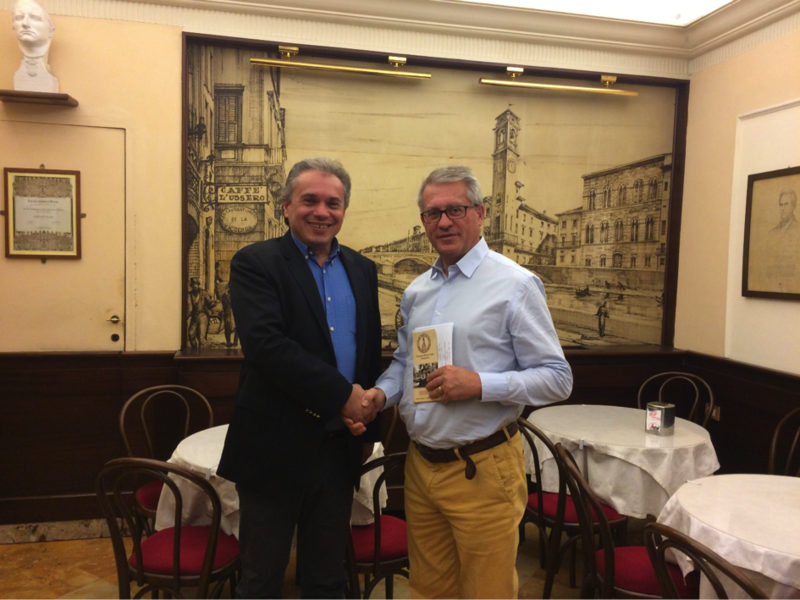 The first meeting was held at Viareggio, in the historic café “Gran Caffè Margherita”. There Mr. Stathakis had the opportunity to talk with Mr Alexandro Sanpini who became a real supporter of EHICA, and warmly assured his participation in the Association. He towards us to the cafe, talked about Puccini’s favorite spot of relaxation, the celebrities that enjoy visiting the café, the history and the future plans of this unique place. 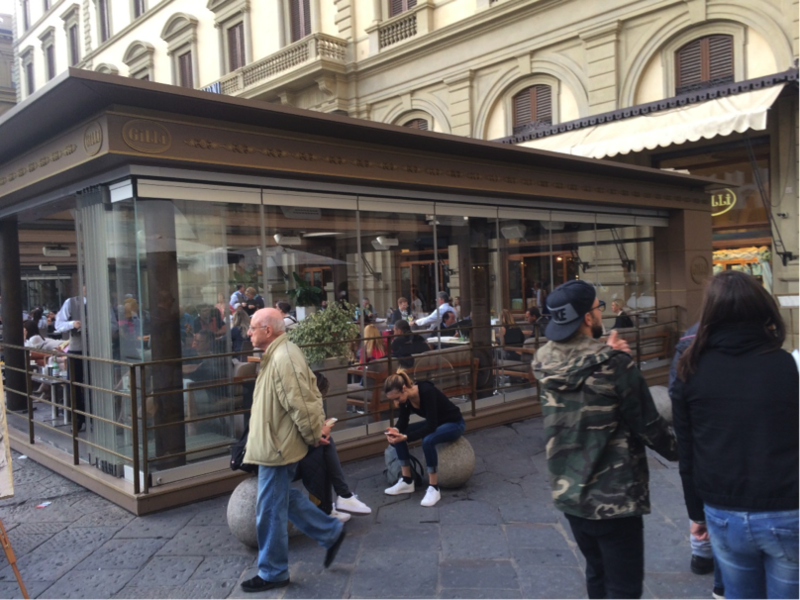 Then Mr. Stathakis traveled to the enchanting Florence, where he had meetings with representatives of 3 historic cafes: Café Gilli and café Paszkowski and café Rivoire. All three of them were enthusiastic about the idea of the Association, its goals and actions. And of course, they all offered us amazing espresso! Last stop, Pisa, where we visited the owner of Italy’s third oldest café! Mr Agostino Agostini welcomed us at Café Dell Ussero with hot espresso and the classic Italian tiramisu and he guided us to his café that was –and still is- a great part of the local history. 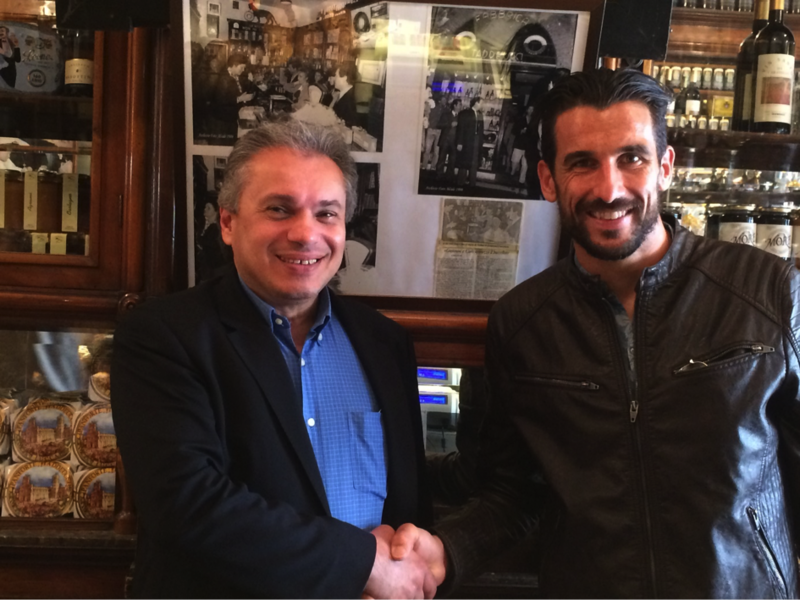 A few days after our visit we welcomed café Dell Ussero as a new member in EHICA!